Jordan Henderson will ask his Liverpool team to reward the defiance shown by fans at Old Trafford last weekend when they take on Watford this evening. The Reds welcome the Hornets to Anfield with a response to the 2-1 defeat against Manchester United their chief objective for the Premier League match. The belief of the travelling supporters was undiminished that day, as they bellowed the recent addition to their songbook – ‘Allez, Allez, Allez’ – after the final whistle. 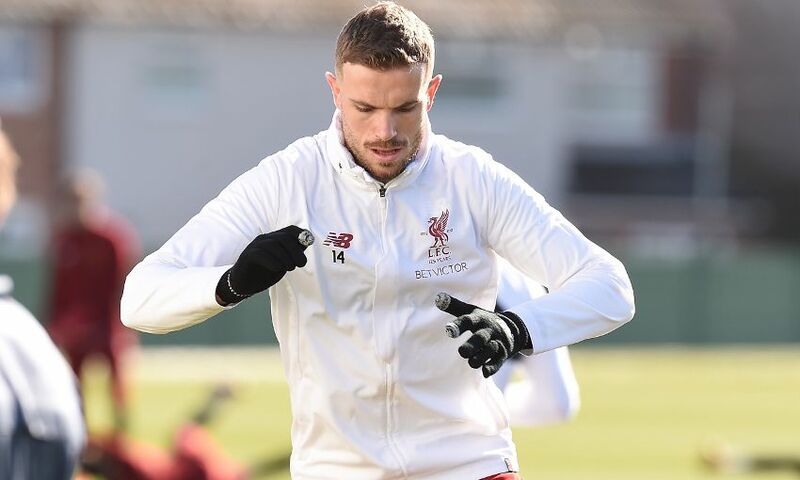 It was a gesture highly appreciated by the Liverpool players and one they will use as motivation when they face Javi Gracia’s side, according to Henderson. “When you’ve been at the club as long as I have now, it’s hard to be surprised by the passion of the Liverpool supporters because they display it on so many occasions,” writes the captain in matchday programme ‘This is Anfield’. “But even by their very high standards the ‘performance’ – for want of a better word – from the away end at Old Trafford last Saturday was phenomenal. “I’m not sure I can remember experiencing anything like that before, particularly when a team loses against such a big rival. “Before, during and after, they sang and encouraged and at the end showed the lads, that even in defeat, they’ll be with us. “It didn’t go unnoticed, I can tell you that. I’ve seen on social media since that, even as the United end emptied and we had all left the pitch, the singing continued – not as celebration but sending a message of defiance almost. “That will be in our thoughts today for this game, which will be another really tough battle for us. “When you have supporters who react in that way, when the team have been beaten at the away ground we probably all would agree we’d least like to lose at, it means as players we have a responsibility to give something back at the first opportunity. Pick up your copy of 'This is Anfield' at the stadium tonight, or subscribe online by clicking here.